In April 2010, Rio de Janeiro was hit by the heaviest storm in half a century. Nearly a foot of rain fell in 24 hours, and the floods and mudslides that followed killed 175 people and left at least 15,000 homeless. Temperatures in Rio have been rising in the last years, but the most extreme event we face is from heavier rains and landslides. Last year we had the worst climate catastrophe ever in the area, with a thousand people killed. So we can see that climate change is already affecting the lives of people in Rio. The April 2010 storm brought the heaviest rains to hit Rio in decades, triggering mudslides that crushed shacks in hillside slums and caused traffic chaos on flooded city streets. At the time, Mayor Eduardo Paes described the city's preparedness as "less than zero." 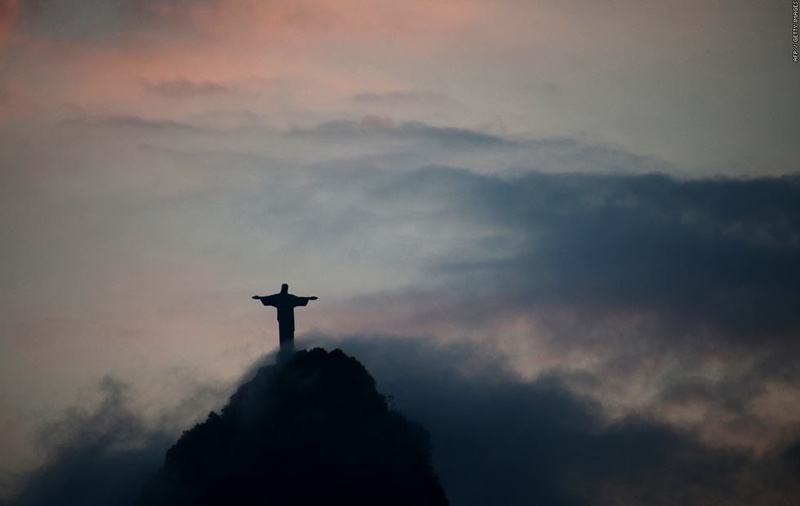 A little less than a year later, in January 2011, flooding and mudslides ravaged several cities in the north of the state of Rio de Janeiro and 1,000 people lost their lives, according to the city. In the latest CDP Cities report, Rio anticipates climate change will produce an increase in landslides, flooding and water pollution. An estimated 20% of Rio's population lives in ramshackle, unregulated favelas that have spread up the city's hillsides. When it rains, they fall victim to flooding and mudslides; when it's hot, trash and human waste spread disease. Dengue is a mosquito-borne viral infection that causes flu-like symptoms and can be fatal, according to the World Health Organization. Researchers say that increases in temperature and rainfall could boost the spread of the disease. According to the Intergovernmental Panel on Climate Change, an additional 1.5 to 2 billion people could be at risk from dengue fever as a result of climate change and population rise by the 2080s. 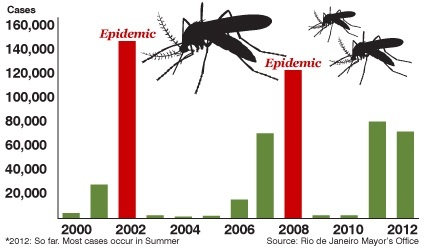 In Rio de Janeiro, dengue epidemics first appeared during the 1980s, according to city authorities. In 2002, the city reported 145,779 cases, in 2008 there were 120,917 cases, and by June 2012 there were over 68,000 cases. The city warns that if climate change causes summer temperature and humidity to extend into the Fall, favorable conditions for dengue will also spread, worsening the risk to the public. There is no bigger problem in Rio de Janeiro than the risk of losing lives from climate catastrophes, so we have been preparing ourselves. For the first time we're adopting a culture of disaster prevention with a new emblematic project that is the "Center of Operations." This is basically a high-end technology situation room, and it has really promoted a culture change in public administration in the city. We're also making strong-and-robust changes to the city's infrastructure. We're revitalizing the port area to prepare for sea-level rises, and we're adapting all-new major engineering plans to be prepared for the new climate scenarios we're expecting in the next decades. Rio de Janeiro has rolled out a series of initiatives as it tries to adapt to the effects of climate change. The vibrant city, which gears up to host the 2014 World Cup and the 2016 Summer Olympics, has created a state-of-the-art operations center where a giant wall of screens helps the city monitor a wide array of data and predict weather-related events. Rio has also bolstered its flooding defences to protect vulnerable citizens from flooding events such as those that have hit the city in recent years.